“What’s the value added I’m offering to the existing world of books and literature?” It is the mantra to keep in mind, repeating every few hours in my head when writing chapters to a book or even a paper. 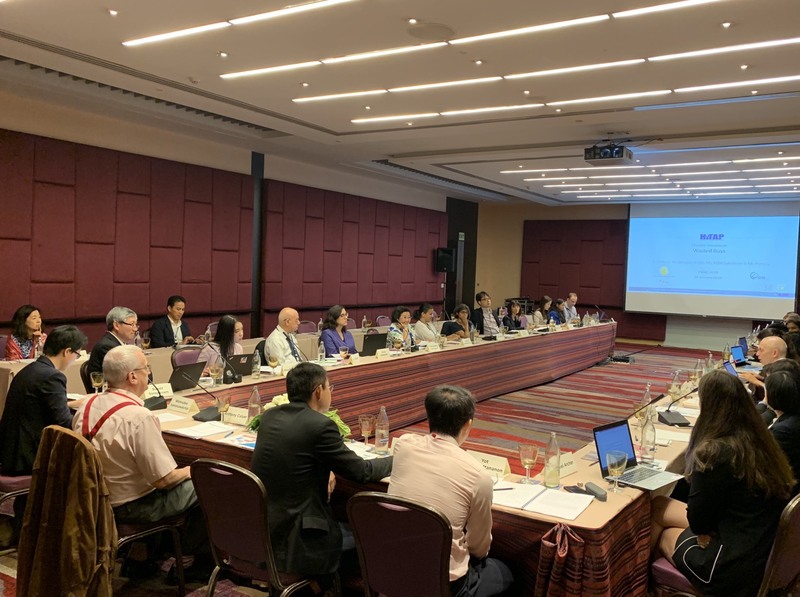 This is what I take home from the HITAP organized ‘Best Buys, Wasted Buys and Controversies in NCD Prevention’ side event at the Prince Mahidol Award Conference (PMAC) on 29 January 2019. It was great session brilliantly facilitated by Prof. Anthony Culyer and participated by many of the renowned health economists and health managers to give feedback and comments on the different chapters of the book that is being compiled and led by HITAP team and experts around the world on “Best Buys, Wasted Buys and Controversies in NCD Prevention”. For four hours an intense discussion went on, I was proud to be in the room, taking it all in, learning from all the experts around the world. When targeting NCD Managers in various health systems, it is more practical to present case studies, the real-world examples of successful models in NCD prevention than giving the reader knowledge on what is best to do. How difficult it could be to draw the line between a good buy and a wasted buy-in low- and middle-income countries (LMICs) context where having good quality data is an issue. The importance of collaboration with different experts, intended users along the way, the learnings along the way to put out something that would be beneficial in the real world than thousands of books of that would provide knowledge on “what is best”. Thank you HITAP for the effort you have put in to initiate this compilation of evidence, especially to support LMICs to move forward in the Global NCD agenda. I’m looking forward to attending the Parallel Session 2.5 on “Best buys, Wasted buys and Controversies: How do you find them and how to make them work?” on 2 February 2019. Dr.Sumudu Karunaratna is a reviewer of the book on ‘Best Buys, Wasted Buys, and Controversies in NCD Prevention’ which is under progress by international experts including HITAP and to be launched on 12 December 2019. This book will feature the concepts and frameworks on how to identify health interventions that are ‘best buys’ and avoid interventions that are ‘wasted buys’ to make the most efficient use of healthcare resource. This project is funded by PMAC, Thai Health Promotion Foundation, and the International Decision Support Initiative (iDSI).